Can I just remind the Food and Drug Administration, and the world, that cheese is supposed to have bacteria? Bacteria is what gives certain cheeses their complexity, sharp flavor, and distinct texture. So quit messing! 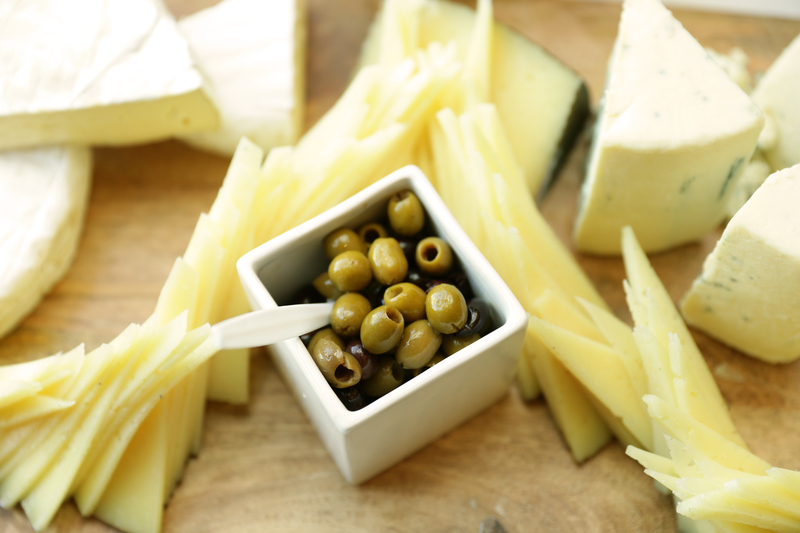 Alas, the FDA has issued an Import Alert on several cheeses due to their bacteria levels. Now three cheese varieties, including the popular French blue cheese Roquefort, are prohibited from being sold in the U.S. until their creameries prove that they've reduced the bacteria content and pass five sample tests. Quick, someone slip these artisans some clean cheese! According to the LA Times, the FDA has cut the allowable amount of a specific bacterium from 100 MPN (most probable number) to 10 MPN. That bacterium is nontoxigenic E. coli, a strain that does not produce toxins and should not be confused with the E. coli normally associated with food poisoning. In fact, you have E. coli in your intestinal tract right now, as I type this, because the bacteria is actually an essential part of a healthy digestive system. E. coli specifically has been shown to be beneficial, according to a study revealing its ability to combat less-healthy bacteria. Given the data, cutting the allowable level of nontoxigenic E. coli down so drastically is a bit overkill. Just think about the French, who live healthily — and happily — on these bacteria-laden cheeses every day. Some research has shown that eating Roquefort, one of the cheeses on the Import Alert list, can help prevent cardiovascular disease and lead to longer lives. And the FDA wants to deprive Americans of this magic health cheese? That's just cruel. The other two cheeses currently banned for American import are St. Nectaire and Tomme de Savoie. Both are French semi-soft cheeses usually made with raw cow's milk. St. Nectaire has a creamy texture and a nutty, mushroomy flavor. Tomme de Savoie has more tangy, citrusy notes accompanied by earthy, mushroomy hints. In other words, they sound heavenly. You may already be familiar with Roquefort, that salty, tangy, creamy, moist blue cheese that crumbles in your hands but melts in your mouth. Yup, the FDA doesn't want you to have any of that either. None of this is new, since the FDA has been on an anti-cheese crusade for years now, including the introduction of the Food Safety Modernization Act in 2010, which gave the FDA more authority in regulating smaller artisanal cheesemakers, and the proposed ban on wooden aging boards earlier this summer. And it doesn't look like the FDA is slowing down anytime soon, leaving the fate of our favorite bacteria-laced cheeses uncertain. Hey, FDA, here's a thought: How about, instead of targeting delicious dairy treats that are actually benefiting our health, you ban these foods instead? Anything made by Kraft. Oh hey, didn't you guys just recall a massive batch of Kraft American Singles? Why do you continue to allow that weird orange-colored "cheese" to stay on shelves? Dangerous herbal supplements that deceive consumers with its "All Natural" label — a label that you guys approved. Soda, which has been shown to include not only unhealthy levels of sugar, but also potential carcinogens like 4-MEI (caramel coloring). Apparently the FDA doesn't regulate 4-MEI levels because it "has no reason to believe that there is any immediate or short-term danger presented by 4-MEI." But healthy bacteria does? Basically everything in a vending machine.